Our favourite Starboy is back, dropping his new music video for his hit single “Reminder” in celebrations for his 27th birthday (February 16). Portraying the life of the luxurious lifestyle, The Weeknd surrounds himself with not only cars you would dream of driving but as well as private jets and “A-Star” parties. 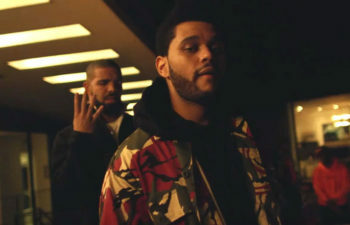 The Canadian artist not only drops a music video on the day of his birthday but he surprises his viewers as he is accompanied by rappers who are also hitting the charts with their music such as Drake, NAV, ASAP Rocky, Bryson Tiller and Travis Scott. 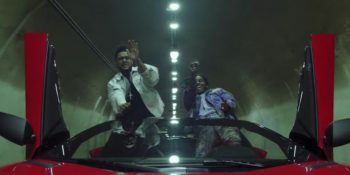 The Glenn Michael directed music video was mainly shot within the LA area, showing scenes of the infamous Hollywood sign and shots of The Weeknd roaming through the streets of Los Angeles, displaying his “Starboy” lifestyle. Not only did he drop the “Reminder” music video as a form of a birthday celebration for his listeners but it’s also a perfect way for fans to get ready for his tour, “Starboy: Legend of the Fall”. He will start within Europe and eventually make his way to North America in April! If you’re one of the lucky fans attending the concert, get ready to live the luxurious lifestyle with the Weeknd and who knows… maybe the same artists he partied with in the music video will show up too!